A humorous birthday card with a glamorous woman in front of the Eiffel Tower. Captions provided say "29 again? Your secret is safe with me. ", "She could see no reason to act her age", "A Little Bit Older, A Lot More Fabulous" and a blank is provided for your own caption. 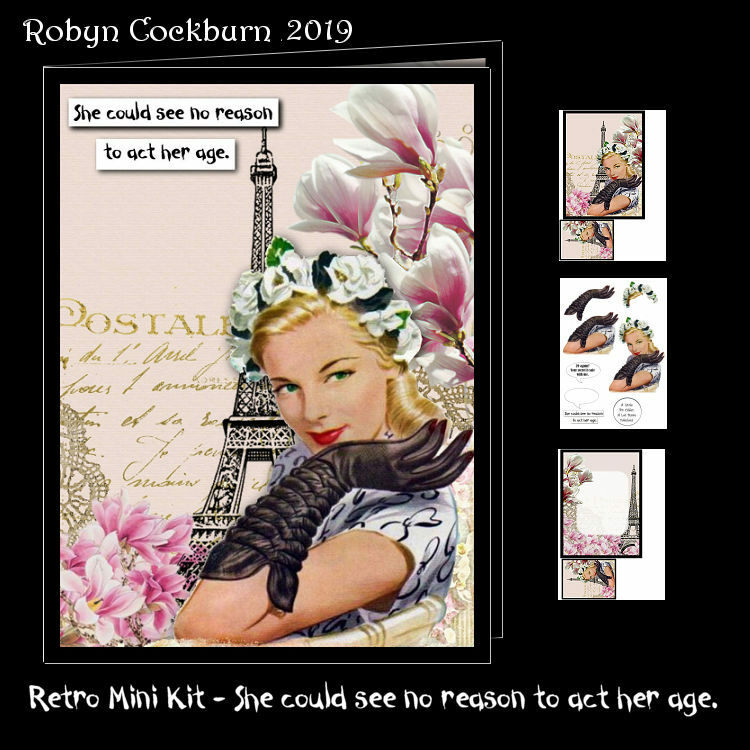 The kit contains card front, insert, labels, gift tag and decoupage layers. Card is 6" x 8" when finished.